Without further ado, here are some of our key moments since starting the year out strong. Here’s to 2019! We were excited to exhibit as silver sponsors at Citrix Summit 2019! 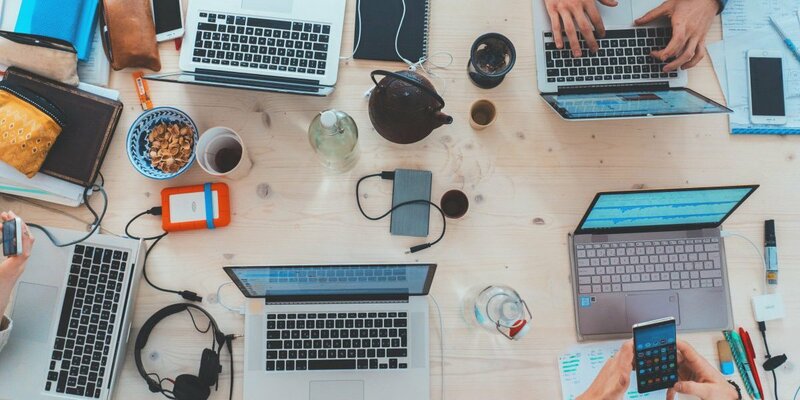 We made headline news at the show thanks to the announcement of the new enterprise ready, joint management solution for ThinPrint and workspace hub devices. Our booth was incredibly busy with meetings around the clock. Members from our San Francisco offices and Austrian offices were both in attendance at our booth. 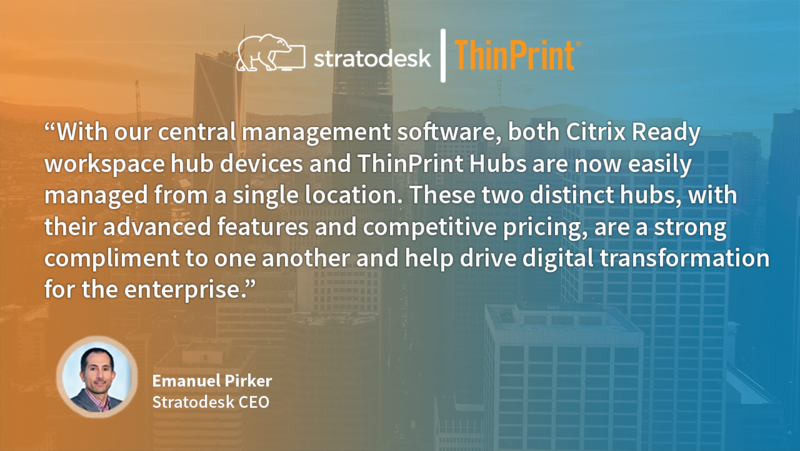 Attendees got an inside look at Stratodesk software, the new joint management solution for ThinPrint Hubs and Citrix Ready workspace hubs, and more. What was Stratodesk’s Top Tweet? Just a little humor from our team. 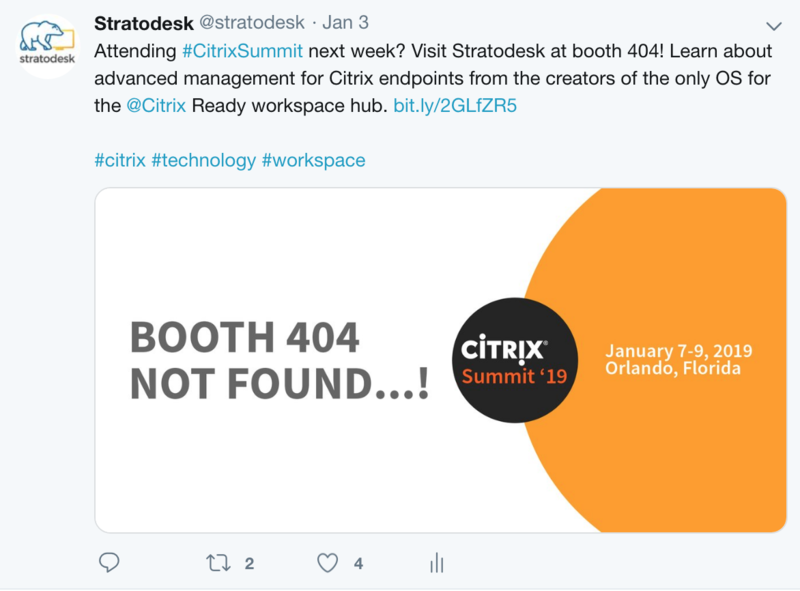 Our booth was located at #404 at Citrix Summit. In this post we linked to our teaser for the show, which you can read on our blog. 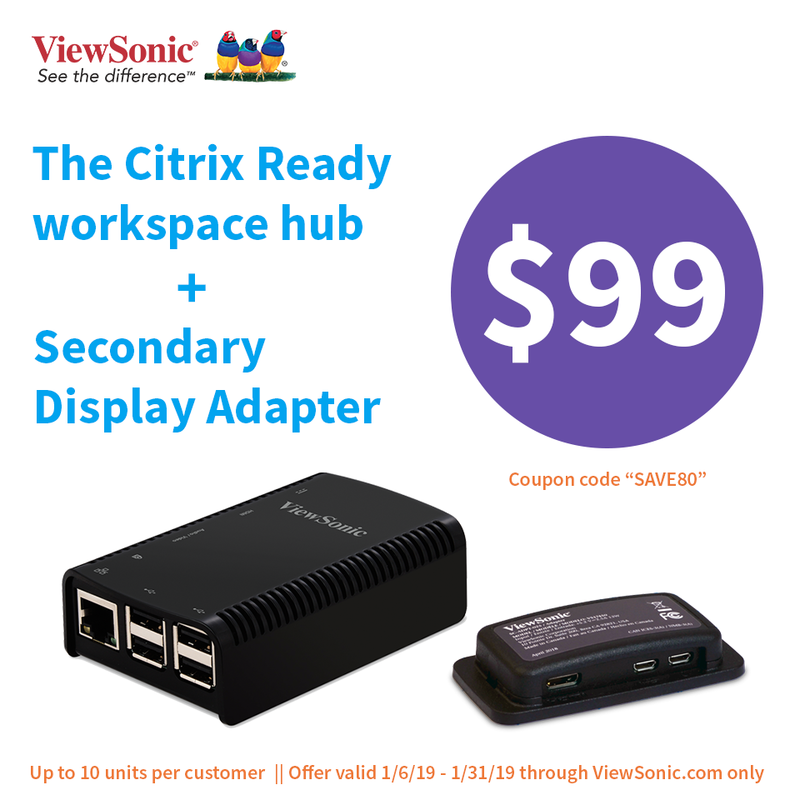 For a limited time you can get both the CitrixReady workspace hub and the secondary display adapter, powered and managed by Stratodesk software, for $99. Click the link to get yours today! Interested in learning more about setting up the Raspberry Pi for gaming? This article outlines the step by step process to begin without the Steam Link Unit’s price tag attached. IoT innovation is coming for every industry. But will it be a game changer for transportation? This article explores significant benefits of IoT for the transportation sector. The four essential truths are to: make privacy and security your top priority, share data, don’t hoard it, close the loop, and rethink products—and their roles. 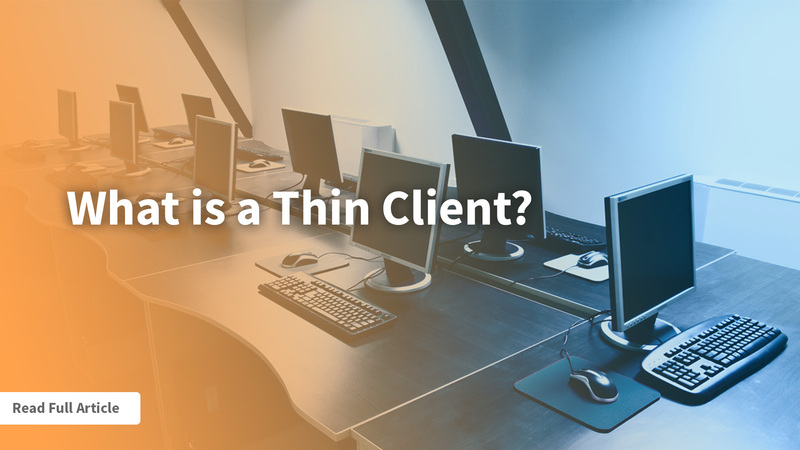 Getting Back to the Basics: What is a Thin Client? We talk about Thin Client devices and Thin Client operating systems all the time. But what exactly is a Thin Client, what is it for and which type of device is the best fit for your business? Learn more in our recent blog post. We’re gearing up for HIMSS19 –HealthcareIT’s biggest show. In preparation for the show, take a look at this video highlighting how Stratodesk and Imprivata work together to unlock the full effect of Healthcare VDI. 2018 was a very good year. Some of our biggest achievements include: celebrating our 8th birthday, opening new offices, rolling out innovative software releases, adding new team members on both sides of the Atlantic and more! Watch the video below for a complete summary of our record breaking year!